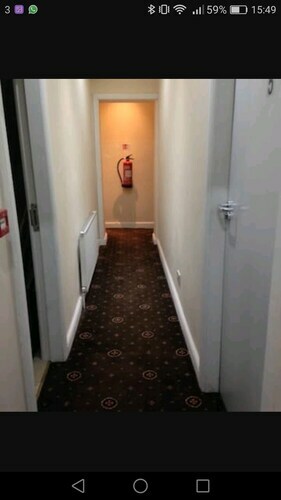 Situated in Pontefract, this hotel is 0.2 mi (0.3 km) from Pontefract Town Hall and 2 mi (3.2 km) from Xscape Yorkshire. Pontefract Swimming Pool and Pontefract Castle are also within 10 minutes. Pontefract Tanshelf Station is 8 minutes by foot and Pontefract Baghill Station is 9 minutes. Situated in Pontefract, this guesthouse is 0.3 mi (0.4 km) from All Saints Church and 2.5 mi (4 km) from Xscape Yorkshire. Pontefract Castle and Pontefract Town Hall are also within 1 mi (2 km). Pontefract Monkhill Station is 12 minutes by foot and Pontefract Baghill Station is 13 minutes. 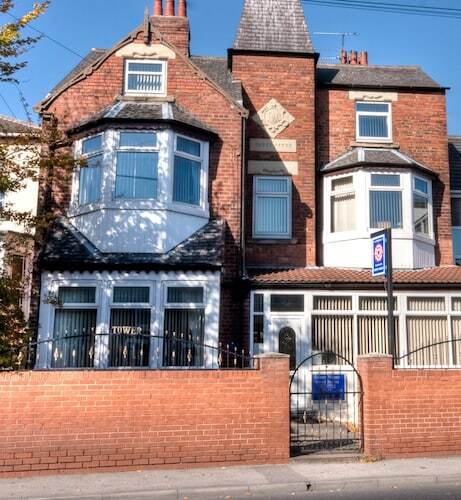 Situated in Pontefract, this bed & breakfast is 1.3 mi (2 km) from Bigfellas Stadium and 2.6 mi (4.1 km) from Xscape Yorkshire. Pontefract Racecourse and Pontefract Swimming Pool are also within 3 mi (5 km). Featherstone Station is 22 minutes by foot. 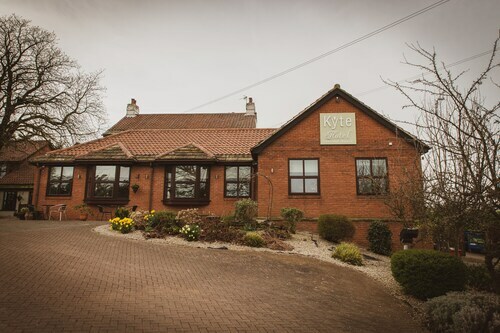 Situated in Pontefract, this hotel is 0.7 mi (1.1 km) from Mid Yorkshire Golf Club and within 3 mi (5 km) of All Saints Church and Pontefract Castle. Pontefract Town Hall is 3 mi (4.8 km) away. 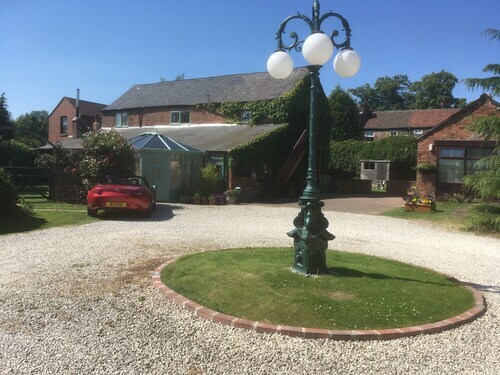 Situated in Normanton, this bed & breakfast is 2.2 mi (3.5 km) from Diggerland Yorkshire and within 6 mi (10 km) of Xscape Yorkshire and Junction 32 Outlet Shopping Village. Pontefract Racecourse and Pontefract Swimming Pool are also within 6 mi (10 km). Normanton Station is 12 minutes by foot. 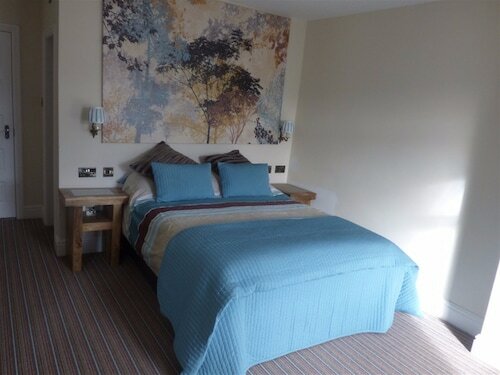 Situated in a rural location, this eco-friendly hotel is within 6 mi (10 km) of Mid Yorkshire Golf Club, Nostell Priory, and Hemsworth Water Park and Playworld. Kinsley Greyhound Stadium and Pontefract Castle are also within 6 mi (10 km). Situated in Wakefield, this bed & breakfast is within 3 mi (5 km) of Hepworth Wakefield, Sandal Castle, and Nostell Priory. Wakefield Cathedral and Wakefield Theatre Royal are also within 3 mi (5 km). 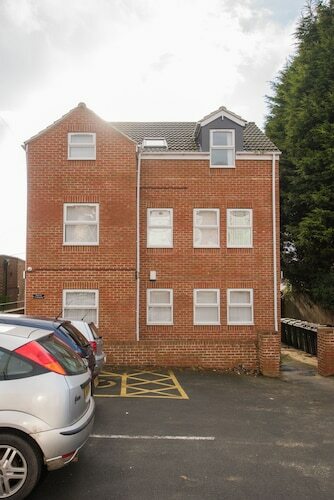 Situated in Leeds, this apartment building is 0.4 mi (0.6 km) from Townclose Hills Local Nature Reserve and within 6 mi (10 km) of Xscape Yorkshire and Temple Newsam House. Castleford Queens Park and Junction 32 Outlet Shopping Village are also within 6 mi (10 km). Situated in Leeds, this hotel is within 9 mi (15 km) of Townclose Hills Local Nature Reserve, Xscape Yorkshire, and Temple Newsam House. Lotherton Hall and Castleford Queens Park are also within 9 mi (15 km). Micklefield Station is 20 minutes by foot. What's stopping you? Pontefract Racecourse was meant to be witnessed. Pontefract is where you can find it. To get there, you will need to head 40 miles (64 kilometers) from Manchester, which is a fabulous city in its own right. 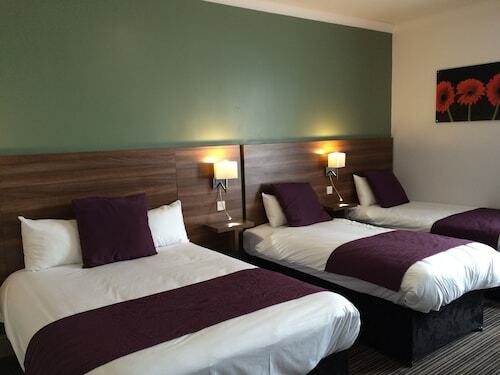 Worldly wanderers looking for someplace convenient to spend the night can consider 9 hotel options within 6 miles (10 kilometers) of Pontefract Racecourse. The Best Western Plus Milford Hotel and The Grange will offer you at least some of the comforts of home. If you're the type of person that is totally fine with modest and clean decor, you can get a room at one of the budget solutions in the surrounding area. Why not consider the A1 Southside Lodge and the Wheldale Hotel? The Tower House Executive Guest House is the one name you have to be aware of if you're on the hunt for somewhere elegant that's relatively close by. It's only 1 mile (2 kilometers) away. There's nothing more enjoyable than relaxing with a delicious meal after an adventure-filled day. Fellow travelers find one of the finest places to do that at Pontefract Racecourse (Unnamed Road,, Pontefract), only 0.2 miles (0.3 kilometers) from Pontefract Racecourse. You may wish to do nothing more than kick up your heels, go ahead and buy a drink at St Joseph's Catholic Club (Back Street, Pontefract), and join in the conversations of both acquaintances and close friends alike. Have some high octane fun at Raceway Karting. Race down the straightaway, and be the first one through the checkered flag! Whether you want to work off all the yummy food you've been eating or just mess about with friends, you'll be sure to have a great time at Pontefract Swimming Pool. History buffs must visit Pontefract Museum, a place where history comes to life with stories from the region's past. Visitors should make time to see and admire Pontefract Town Hall, a historically significant civic building. Pontefract Castle, a castle, is a wonderful spot for history enthusiasts and their families. You'll imagine living many centuries ago as you tour this remarkable landmark. Catch the metro at the closest station, Pontefract Tanshelf, when you're finished at Pontefract Racecourse. It's only 0.3 miles (0.5 kilometers) away! How Much is a Hotel Room in Pontefract Racecourse? 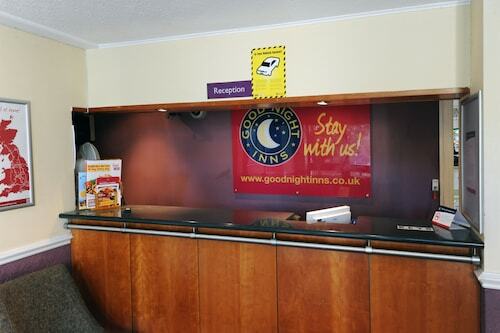 Hotels in Pontefract Racecourse start at $38 per night. Prices and availability subject to change. Additional terms may apply. Jaw-droppingly Beautiful 5 bed Mansion!